Whether a school gets $500 or $100,000 for arts funding depends on various factors, making equitable access to arts programming in Ontario an “ongoing challenge”, according to a new report. A new report says the quality and quantity of arts education in Ontario schools depends on parental education and income, fundraising and location. Whether a school gets $500 or $100,000 for arts funding depends on parental education, income, fundraising and location, meaning equitable access to arts programming in Ontario is an "ongoing challenge", according to a new report. The report, released Tuesday by People for Education — a non-profit advocacy group that tracks education in the province and offers policy recommendations — was based on a survey of over 1,200 elementary and secondary schools in Ontario. It found that elementary schools in urban areas are three times more likely to have an arts budget of $5,000 or more compared to rural schools. "Our school is a small country school with only eight classrooms. Our teaching staff allotment doesn't afford us the opportunity to have specialist teachers," an elementary school in the Lambton-Kent District School Board, southwest of London, commented in the report. The report also found that children in elementary schools who have a higher proportion of parents with university degrees are 10 times more likely to have an arts budget of $5,000 or more. "The inequities revealed in the survey results raise major concerns," said Christine Corso, a researcher and project coordinator for People for Education, in a release. "Given the significant role that arts education plays in supporting the development of foundational skills, all of Ontario's students should have equitable access to arts resources and programs," she said. In 2018, arts budgets varied dramatically in elementary schools, with 27 per cent reporting a budget of less than $500, 19 per cent with a budget between $2,000 and $4,999, and four per cent with a budget of $5,000 or more. 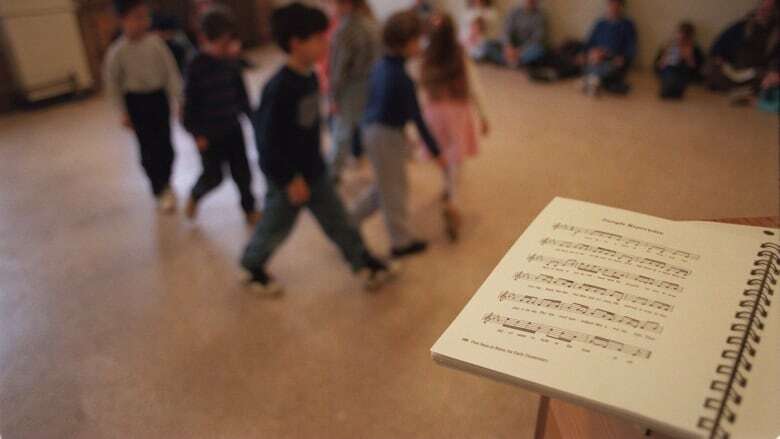 "Students in elementary schools with budgets over $5000 are more likely to have the opportunity to see live performances, display their art, participate in choir or band, learn an instrument, or work with an artist," a release accompanying the report said. Meanwhile, the report found "that Grade 3 and 6 students from schools with lower arts budgets were more likely to say they 'never' participate in art, music, or drama activities outside of the school day." Secondary schools all recorded higher budgets, with 20 per cent having a budget of $10,000 or more — some even reached as high as $100,000. Only three per cent had less than $500 to spend on arts programming. Until recently, there was no provincial funding dedicated to the arts, the report says, with fundraising efforts at individual schools often determining the size of an arts budget. How much of the school's money goes to arts funding is determined by the individual school board. "Much of our arts is funded through our Parent Council, who have prioritized the arts at this school," a comment by one elementary school in Toronto stated. And schools with lower poverty rates are more likely to raise more money fundraising compared to schools with a higher rate of poverty. The Toronto District School Board did not provide comment on the report, referring CBC News to the Ministry of Education instead. In a statement Tuesday, the ministry said it shares a "commitment to strengthening equitable access to the arts across Ontario," noting it plans to spend $21 million over three years on arts education. "There's no question that the arts play a significant role in supporting student achievement and well-being and encourage students to foster creativity, think more critically and have a well-rounded education experience." Ministry figures show some 6,240 students participate in 238 so-called Specialist High Skills Major arts programs — nearly 200 more than last year.